If you’re looking for a new 160mm enduro bike, but aren’t sure where to start, ask yourself a few questions. Does a post ride burrito sound better than a kale, Kombucha smoothie? 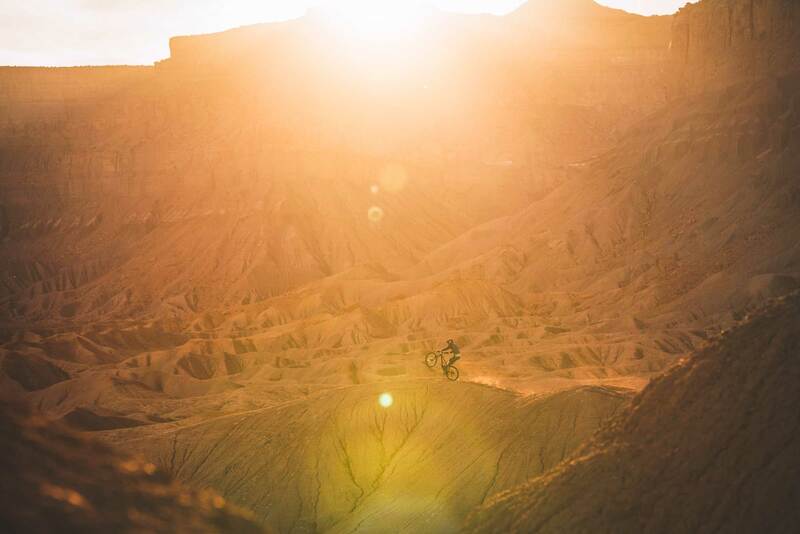 Do your average trail rides usually turn into huck sessions or long jump contests? Do the words, “long, slack and low” get you feeling all tingly? If you answered yes to any of these questions, the Fuji Auric LT may be for you. This 160mm, 27.5 bike is made to party with performance well above what the price tag would suggest. If you haven’t seen the story already, we spent a week in Green River, Utah sending Fuji’s new Auric line up on steep chutes and jumps. That kind of thing goes well beyond the typical bike review testing procedure, but typical isn’t our style. Several months ago, Lauren Gregg of Fuji bikes showed up in Bend to ride with the old man, Drew Rohde. It didn’t take long for him to excitedly call me saying the new Fuji he’d just ridden surprised him. Now, Fuji isn’t a name that’s typically been synonymous with rowdy, long travel bikes. Though the brand had solid offerings in the past, they’ve been targeted more towards the drop bar/XC crowd. Endurbros on a budget, go shot gun a celebration beer because your shining moment has arrived! You know that one guy at your local bike park that shows up in skate shoes, ripped jeans and a t-shirt but shreds harder than all the guys in factory kits? That’s the Fuji Auric as a person. It may not have the bling of the expensive competition, but this bike is here to party and shralp with the best of them. Fuji started their Auric re-design around the typical progressive geometry buzzwords: longer, slacker and lower. 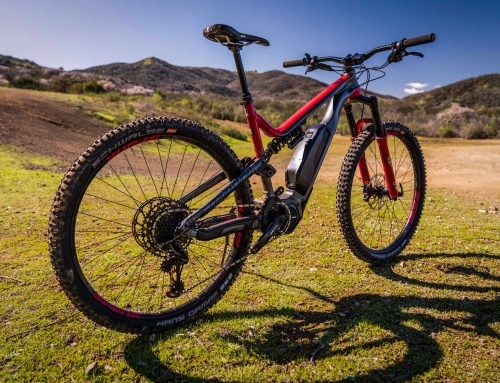 It’s a proven recipe that creates a fun, hard charging bike. 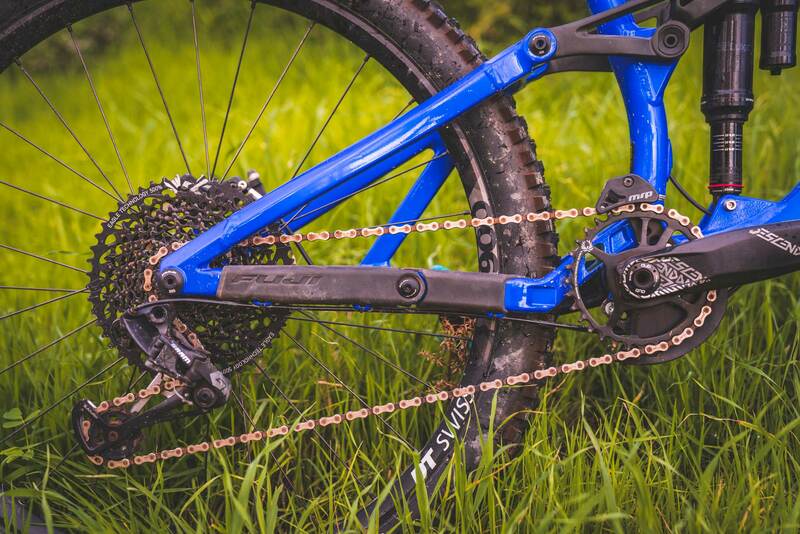 The 63.5-degree head angle is plenty slack, and the 425.3mm chain stays keep the bike snappy despite the laid back front end. A 651.7mm top tube and 75-degree seat tube angle make this bike’s gravity penchant clear. The geo numbers on this bike read like a greatest hits mash up from lots of contemporary rigs. 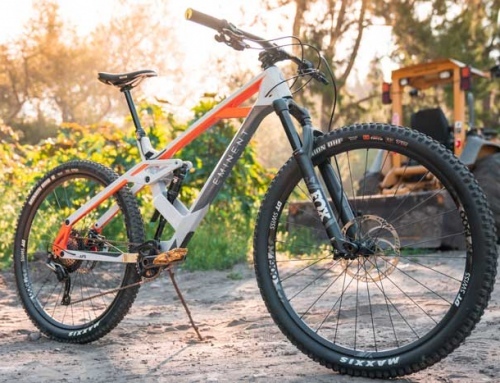 The Auric LT is offered in two different models, but both pack 160mm of rear travel and use a new adaptation of Fuji’s MLink four-bar suspension design. Fuji summarizes the design as, “a four-bar suspension system, with the chainstay pivot positioned in the middle of the chainstay. This balanced design provides a smooth and efficient system with less flex, less binding, and less bearing and pivot stress.” In our experience, it’s a simple but well thought out design that has a great balance of small bump sensitivity and progressivity. 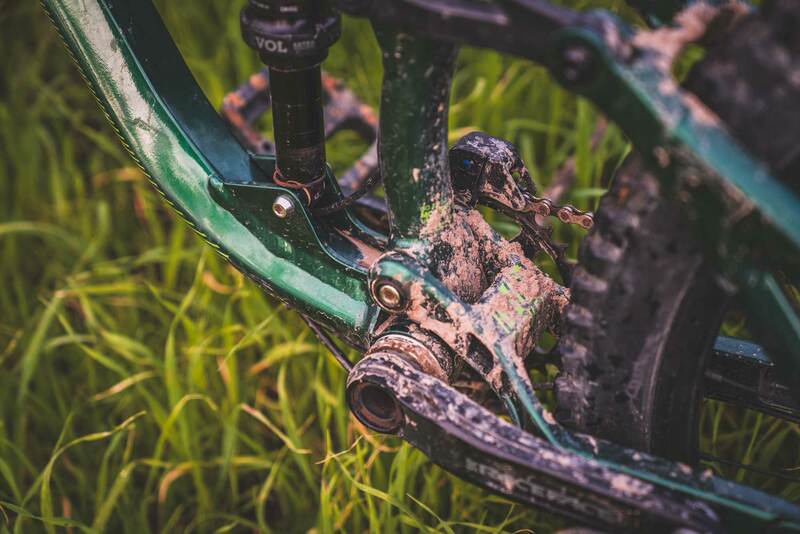 While the pivot mid-chanistay may seem odd, it works well on the trail. 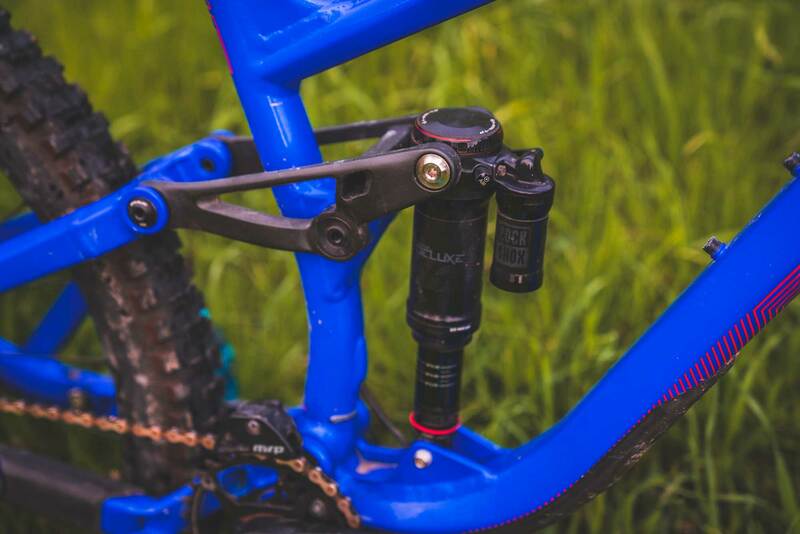 A Rock Shox Super Deluxe RT3 and a 170mm Rock Shox Lyrik RC DebonAir fork suspend the range topping Auric 1.1. 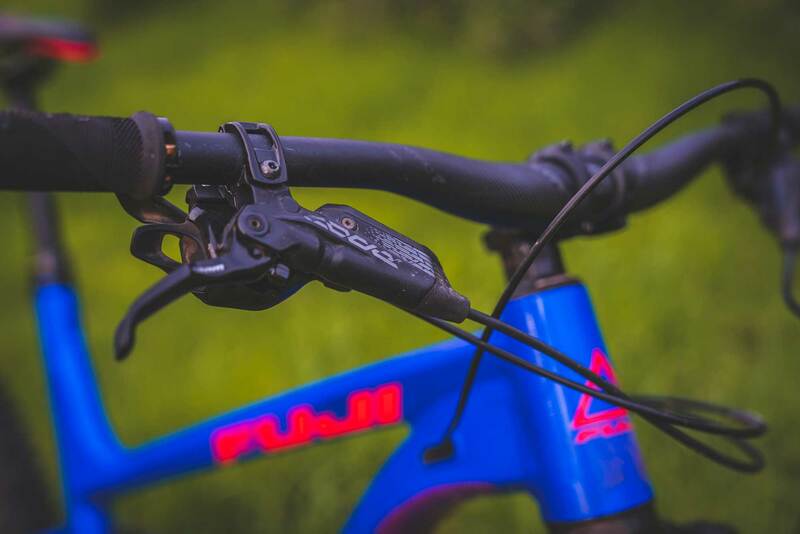 The lower end 1.3 gets Fox suspension in the form of a Fox Float Performance DPX2 EVOL shock and 170mm Fox Rhythm 36 Float GRIP fork. We’ve gotten to spend lots of time on both bikes, and think the 1.3 is an especially good value at $3,499. The 1.1 comes in at $4,299. The rest of the spec on the Fuji Auric LT 1.1 is a mostly SRAM line up. SRAM Code R brakes handle the stopping, but provide the typical SRAM Code vagueness and inconsistency we’ve experienced before. 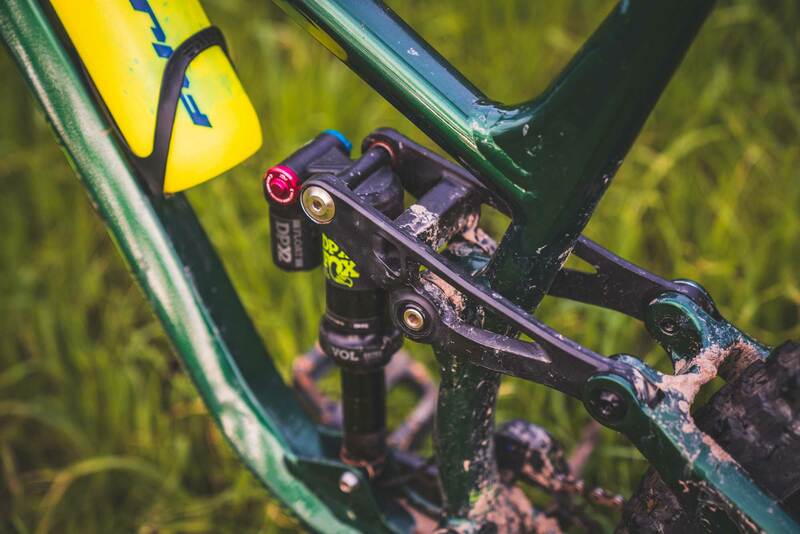 We found the TRP G-Spec Trail S brakes on the 1.3 model to have far better modulation, power and consistency, especially on the steep terrain of Green River Utah. Kudos to TRP for making a quality product at a great price. The SRAM GX Eagle 1×12 derailleur never missed a beat, giving us rock solid shifts for months. 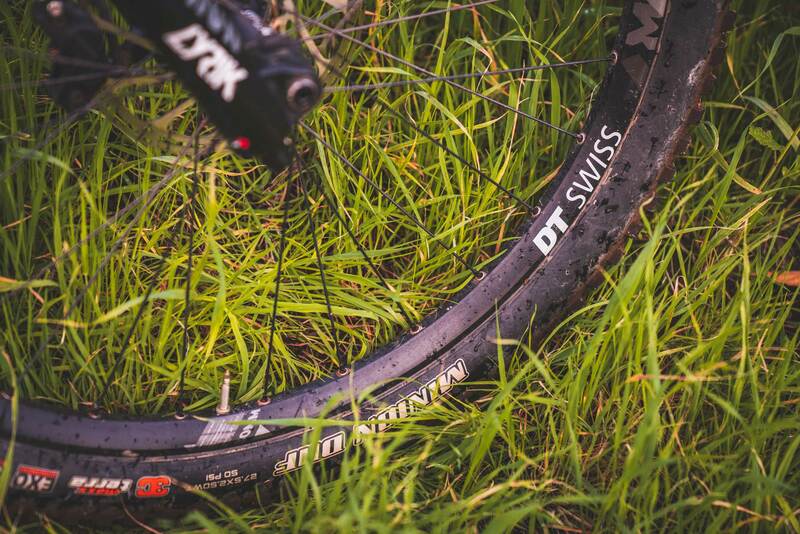 A DT Swiss M1900 Spline 30 wheelset strikes a balance between value, strength and weight. Race Face Aeffect R bars and stem round out the cockpit, while a 150mm KS LEV SI dropper for our size XL test rig kept our body positioning on point. Our time on the Auric LT was anything but traditional, and it’s safe to say both the 1.1 and 1.3 model have been through some spectacular test sessions. Our journey with the Auric LT began in Utah. After pulling the bikes out of the box, we headed straight for Green River. The break in period consisted of ridge lines, chutes, and cliff sends. We were able to spend time on both the 1.1 and 1.3 models during the trip, giving us a unique opportunity to compare them side-by-side. Despite the fact that this bike is a very reasonably priced 160mm enduro rig, I never felt out of place on the steepest, biggest lines. That’s saying a lot, especially considering I spent a good portion of the trip on the $3,400 Auric LT 1.3. Sure $3,400 isn’t cheap, but as far as mountain bikes go, having a bike in that price range that can hang in the gnarliest of terrain presents an impressive value. On most bikes in this range, I’d be complaining about tire spec, mushy wheels or poor brakes. Yet the Auric LT 1.3 had none of those issues. It took everything I threw at it. Fuji clearly understands that a 160mm enduro rig needs to be a gravity oriented Swiss Army knife that’s just as capable dropping a chute or cliff as it is on a long day on the trail. 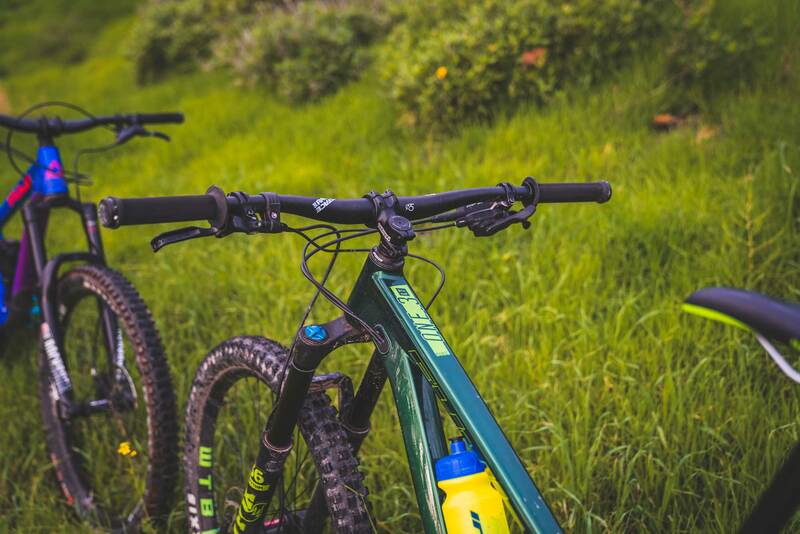 After a thorough flogging in Utah, my test Auric was no doubt excited for a respite on some tamer singletrack. While this is an unapologetically gravity oriented bike, it does climb quite well. I’m not one to mess with lock out switches if I don’t have to, and thankfully the Auric gets the job done on the climbs. That said, if climbing and flowy trails are your goal, the shorter travel 130mm Auric is the better option. 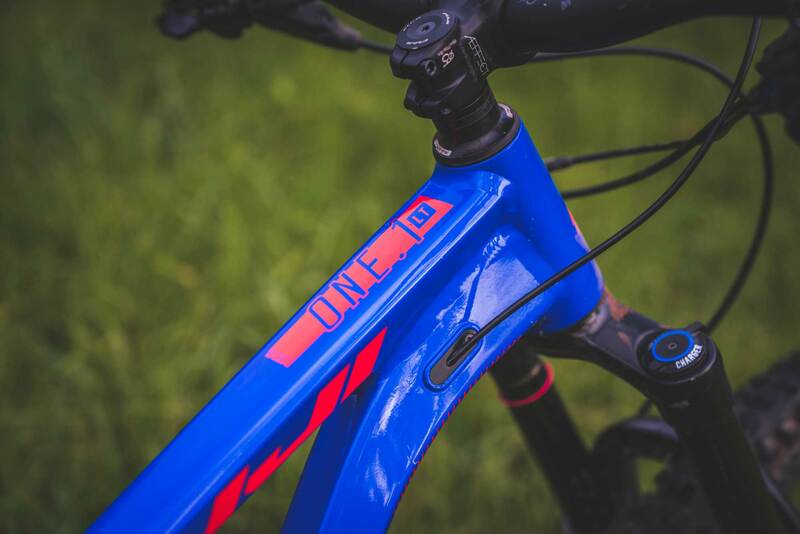 If rowdy enduro, DH trails and even bike park laps are in your future, the LT is the ticket. One area we did think the Auric LT needed a little help was with front end height. The low stack height and bars made manuals require a bit more body English. 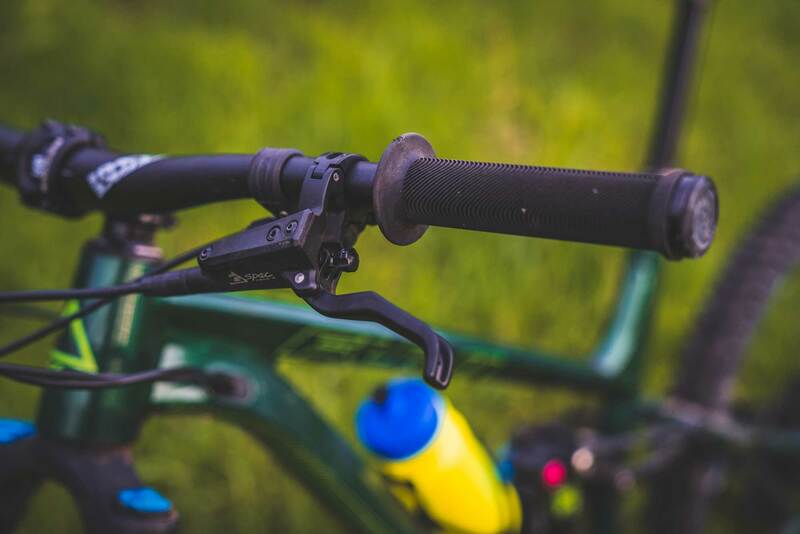 It’s something we could fix with a slightly longer fork, taller bars, or even a few more spacers under the stem. Thanks to the fires in my area, my Auric’s rest period was short lived. Instead, it got sent back into freeride duty. Test rides changed from single track to long fire road climbs that led to remote ridge line descents through the charred landscape. It’s brutal terrain with steep, rocky loose lines and massive bomb holes and g-outs. Composure through those hard hits is one area that this bike was particularly impressive in. 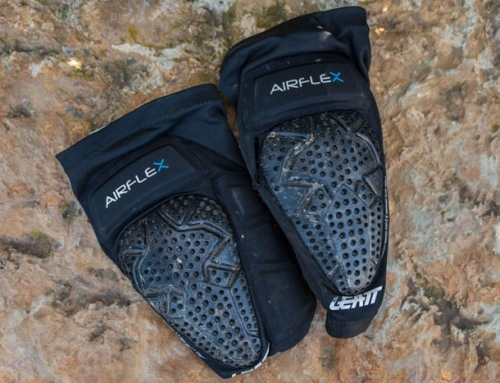 The Auric LT is supportive, resisting dive under braking or hard g-outs. That translates to confident cornering with plenty of traction, while still offering support off big lips and landings. 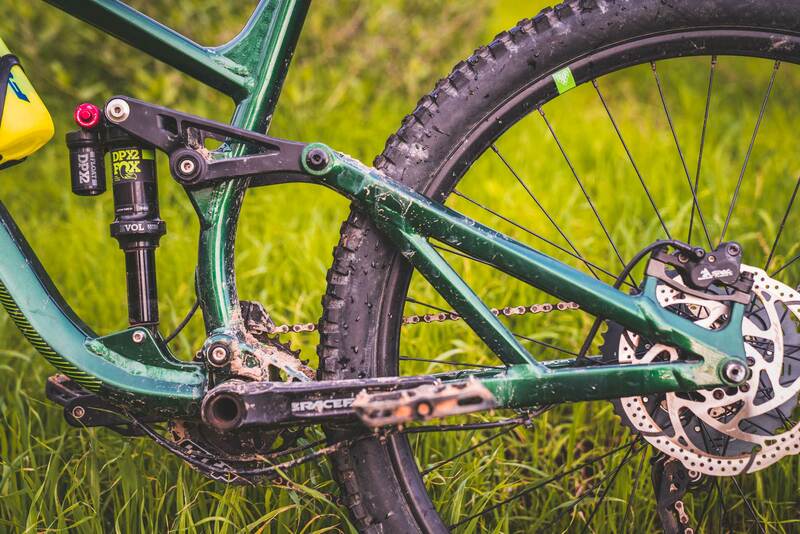 For a bike with pretty basic suspension spec, we were impressed with the ride. Fuji hit a home run with the Auric LT, but this isn’t a bike for everyone. 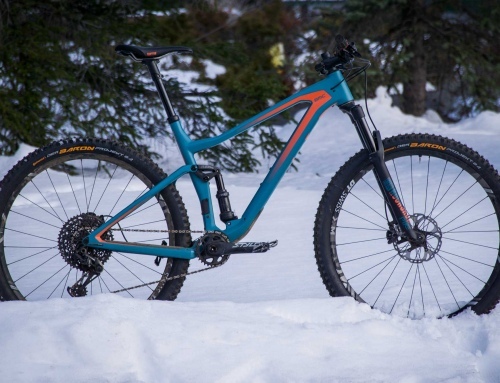 If you like status from fancy brand names, unnecessarily expensive carbon parts, or ride groomer flow trails, the Auric probably isn’t the right call. However, if you love going big, charging rowdy trails, and surprising people with how much faster you are than them, on a Fuji, the Auric LT is just what the doctor prescribed. 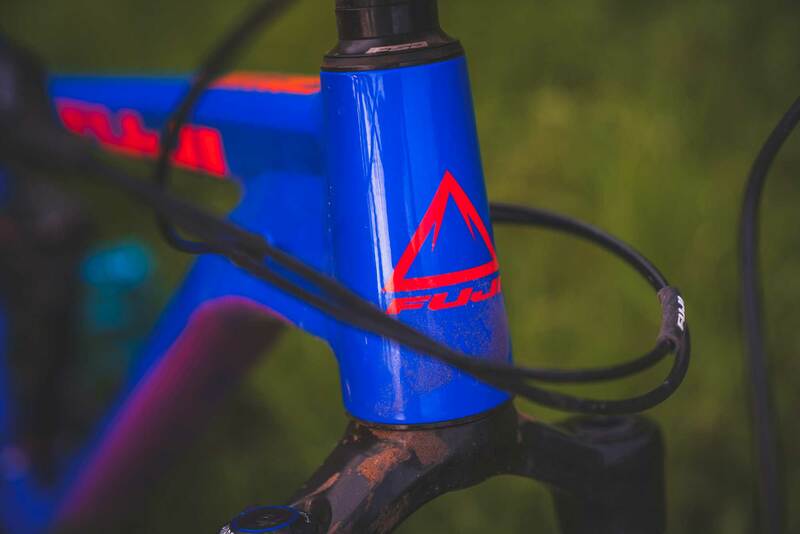 We’d probably raise the front end a touch and ditch the Code brakes on the 1.1, but aside from that, this is a bike that’s ready out of the box. While we normally opt for the higher end bike spec every time, the value and ride quality of the Auric LT 1.3 earns our pick out of the two bikes. $3,500 is a great price for such a capable bike. For a brand that hasn’t been dabbling in the long travel enduro world very long, Fuji nailed it. That said, one has to remember the price. For $3,500, basic suspension and a slightly heavier build are both sacrifices you’ll have to live with. Thankfully you don’t have to give up the overall ride performance.